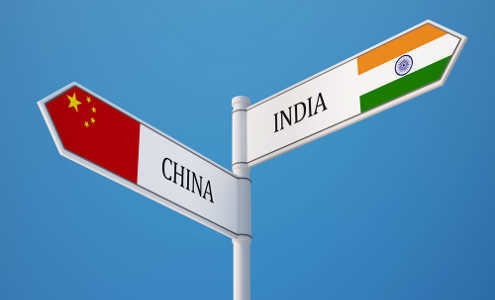 BizSugar Blog » The Next Big Markets for Small Business — China and India? The Next Big Markets for Small Business — China and India? That’s right, you don’t need to be a massive global corporation to take advantage of emerging markets in China and India. All you need is a bit of research, says Gail Gardner of GrowMap. Gardner shared this recent post she created for SiteProNews with the BizSugar community. It’s a must-read if you plan to take advantage of opportunities in either or both of these emerging economies. Of course, there is no clear-cut answer. But, as Gardner points out, learning a bit more about both countries may help you make some important decisions about the opportunities open to you. First, when it comes to language, India may be the clear choice for English speaking small business owners and entrepreneurs. Most Indians speak both Hindi and English. China has been striving to teach English in an effort to better do business with the West. But that effort has apparently not been very successful. If other factors make China your economy of choice, be aware that Mandarin is possibly the most important business language, though not the only language in China. Many of the population also speak Cantonese and an estimated 33 million cannot communicate in Mandarin at all. Fortunately there are services that provide quick translation from one language to another. If your goal is not so much to sell products or services to the population but rather to find inexpensive sources of manufacturing, China may be your best bet. Though India is struggling to compete. Of course, as Gardner notes, the language barrier may again be a factor here. She also points out the importance of carefully monitoring manufacturing going on overseas. Quoting Lori Greiner of Shark Tank in her post on the “No. 1 Mistake to Avoid When Manufacturing Your Product Overseas” in Entrepreneur, Gardner explains that the lower cost of getting manufacturing done overseas comes with higher risk. It’s important to consider having a professional factory auditing company visit the factory where your manufacturing is being done to minimize these risks. When it comes to technology, important differences also emerge between China and India. For example, while Google is just as dominant in India as it is in the U.S., this is not the case in China. There, Chinese search engine Baidu is dominant. And to rank well, your website will need to be translated into Mandarin and will need to be hosted on a server located in China. Also, when attempting to sell to Chinese customers through ecommerce, Amazon is probably not your best bet, adds Gardner. In addition to Chinese competitors like JingDong Mall, TMall and Alibaba, you’ll want to explore social sites like WeChat and Weibo where much social selling is done. Thanks to Gail Gardner for sharing this great post with our community on taking advantage of emerging opportunities in China and India. It’s good to remember that, with the proper information at their disposal, even the smallest businesses may be able to reach these global markets. Do you have a small business post or video to share with the BizSugar community? We’d love to hear from you. You have also cultural and legal differences. In China you don’t really have a legal support for a contract. India (with its faults regarding religion) is based on English common law, with a protecting of property rights. Even though businesses have little protection if they manufacture in China, the low cost appears to have made the risk worthwhile. I find it interesting that China is investing in India’s infrastructure. Perhaps they think India is a more attractive place for Americans and others to do business.